I hope this is a pick me up for your Wednesday! I am trying to avoid the emotional decision of buying a home JUST so that I can host a fabulous backyard summer soiree before it's fiery hot here in Texas. Haha. These photos are fabulous and definitely inspire happy daydreams. :) Happy Wednesday! These images are SO lovely! DEFINITELY a party I would love to attend! I love the first picture. Our new house has a huge backyard. I cannot wit to move. These all look so magical! The lights are my favorite part. I might have to make some guac tonight too now that you've mentioned it! Can you have one of these parties when I'm in ATL this June? If I tried to throw one mine would look like a lightning bug funeral. oh I think I need some guac and possible a couple coronas. those spaces look so inviting. bring on summer. I'll take some of your guac for sure! Summer seems so distance especially with the chilly front that is lingering in Indy. Love seeing this. Just booked a pair of tickets back to good ole georgia. I am missing home so excited to be home for spring/summer for a few days. Wish my backyard was like that, those look like so much fun! These make me so happy!! 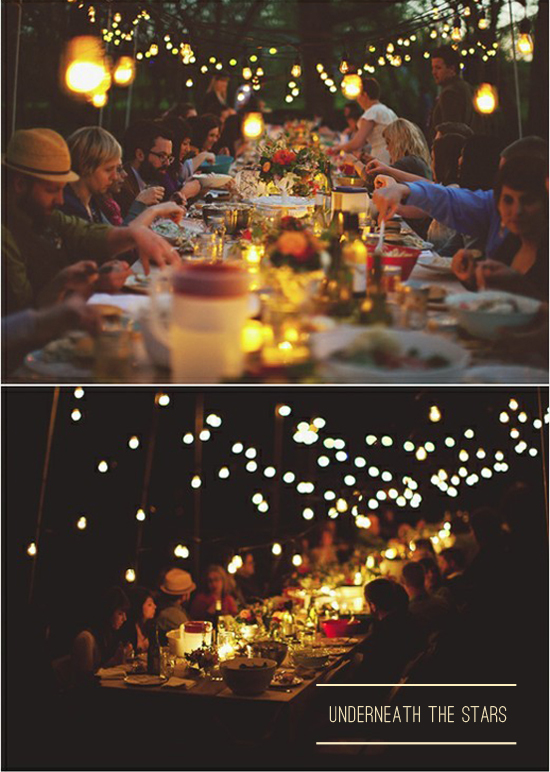 I just need a mosquito zapper so I can enjoy a long dinner outside under the lights and stars. Oh goodness, those are some awesome party pics!! Those pictures are so nice! very nice Wednesday pick me up. Lovely inspo shots! Who doesn't love a backyard party! I am sooooo excited for summer and getting our pool set up so we can have fun summer night parties! I'd love to string lights inside the pool fence to add some ambiance like those photos! magical!!! i must get lights for the backyard! Oh, what I would give to be in anyone of those backyards. I love stringed lights on patios! Instant ambiance! I wish for this summer party as well..it will be really wonderful! I really enjoy your blog and the dear things you and your husband express about each other and about your faith. 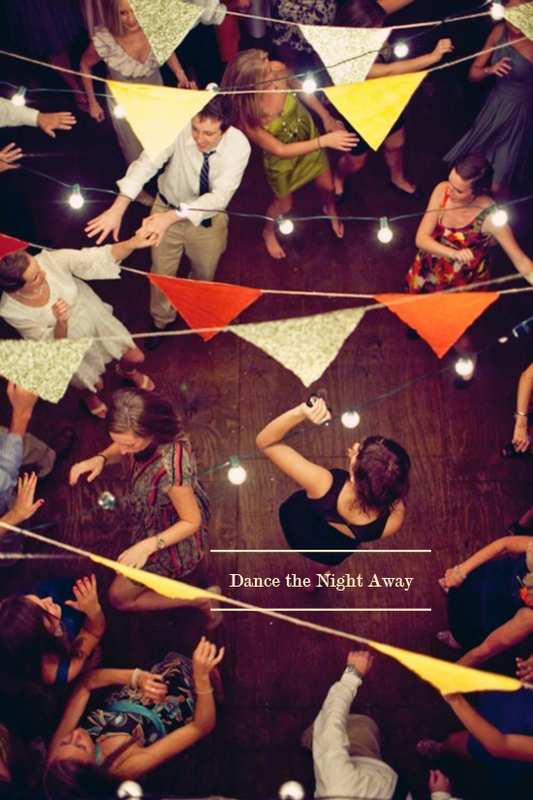 I was wondering if you know what to anchor the party lights to that drape over the table. 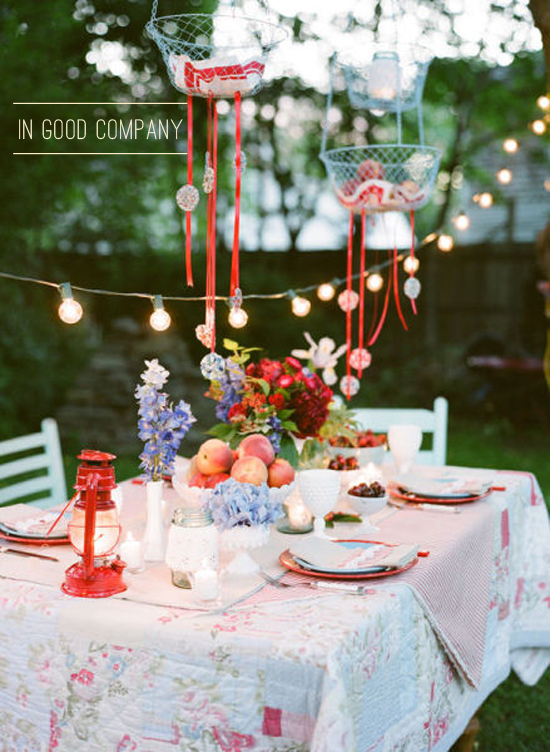 okay, this is making me really wish i was having an outdoor party right about now. absolutely stunning!! soo beautiful! i'd love to attend a party like this! oooh so pretty! one of the favourite things we did last year was host a big BBQ for the hubs bday in July - it stretched into night, we had lots of candles, and we just loved it! Oh yes please, such a relaxed vibe, love it! hehe-LOVED the title Anna :) and i'm loving this inspiration too! it's my last summer before university, so my friends and i have already planned a bunch of get togethers this summer before we all leave-and i'll definitely be using tbis post for ideas! Thank you for your kind words! Means so much to hear feedback like that! I want a party like that, please can someone organise it!! love summer outdoor lighting! great picks. ps. i think, if you have spots, i will be taking a sponsor spot in june ;).